On 9/22 myself and four other panelists will support investor Peter Thiel in support of his new book Zero to One. This will mark the first time I have the opportunity to introduce the local Philadelphia community to my new angel fund Third Cohort Capital. 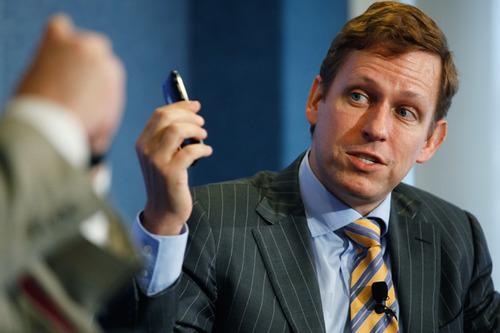 Peter Thiel is the Co-Founder of PayPal and the first outside investor in Facebook. His keynote will be followed by a panel discussion led by Technical.ly Editor-in-Chief Zack Seward featuring myself as a panelist alongside local investors Ellen Weber (RobinHood Ventures), Richard Vague (Gabriel Systems), and Mark Samuels (SEI). We’ll be discussing the advantages and challenges of the Philadelphia startup ecosystem. All attendees will receive a complimentary copy of Thiel’s new book. VIP guests will have preferred seating and access to a post-event meet + greet with the author, Mr. Thiel.